Author Joel Schlemowitz explains the basic mechanism of the camera before going on to discuss slow and fast motion filming, single-frame time lapse, the long take, camera movement, workings of the lens, and the use of in-camera effects such as double-exposure. A comprehensive guide to using the 16mm Bolex camera is provided. Strategies for making films edited in camera are covered. A range of equipment beyond the basic non-sync camera is surveyed. The movie diary and film portrait are examined, along with the work of a range of experimental filmmakers including Stan Brakhage, Rudy Burckhardt, Paul Clipson, Christopher Harris, Peter Hutton, Takahiko Iimura, Marie Losier, Rose Lowder, Jonas Mekas, Marie Menken, Margaret Rorison, Guy Sherwin, and Tomonari Nishikawa. This is the ideal book for students interested in experimental and alternative modes of filmmaking. It provides invaluable insight into the history, methods, and concepts inherent to experimental uses of the camera, while providing students with a solid foundation of techniques and practices to foster their development as filmmakers. An excellent introduction to the basics of experimental filmmaking, with a welcome emphasis on film rather than digital work, and the use of a simple camera, a Bolex. As the author notes, all you need is a roll of film, a light meter, and a camera – add to that inspiration, and you have a handy and accessible guide to DIY independent filmmaking. 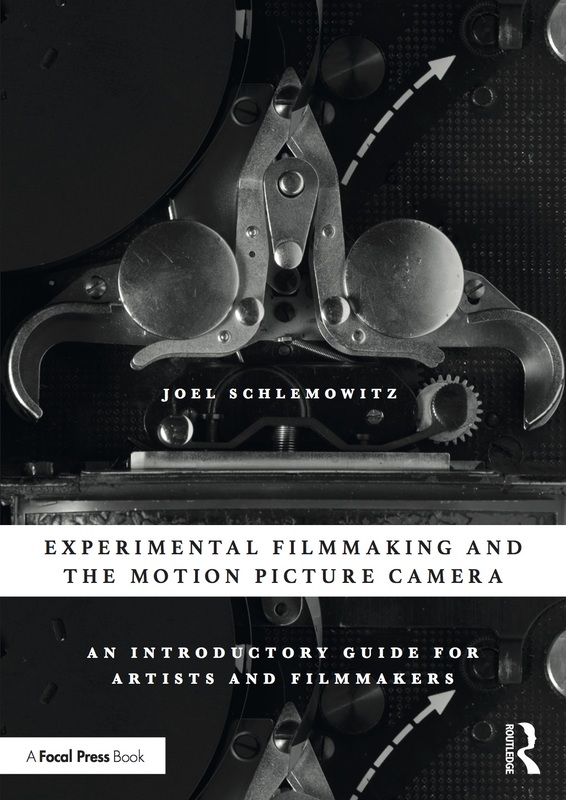 Joel Schlemowitz’s Experimental Filmmaking and the Motion Picture: An Introductory Guide for Artists and Filmmakers gives the reader a concise and informed overview of the history of experimental cinema methodology and application. This is the kind of book that gives those of us with the itch to innovate lots of fun ideas! Filling a major gap in the literature while being exceptionally clear, detailed and passionate, Experimental Filmmaking and the Motion Picture Camera: An Introductory Guide for Artists and Filmmakers is a step-by-step guide replete with historical and technical information and creative examples to train a new generation of cinema artists working in celluloid to develop their own camera-based artistic practice. This unique book is a love song to The Bolex and all the mechanical tools and tricks of artists cinema. Beautifully organized, bursting with clear technical detail and inspired devotion to the art of films and filmmaking. 3 cheers for Experimental Filmmaking and the Motion Picture: An Introductory Guide for Artists and Filmmakers!